Our tours are up to 200 miles, either along the coast or circular routes into the Galloway Highlands. We also offer 1or 2 hub bike holidays for total flexibility. No set start days. Come by yourself or in a group. you will always be on beautiful quiet roads. We offer self-guided or guided rides and custom tours on request. You can bring your own bike and equipment or hire the whole package from us. choose from hybrid, road bikes or our very popular eBikes, all with bags/tools/helmets. have your luggage transferred or ride self supported the choice is yours. We provide maps, daily turn by turn cue sheets and garmin gps units to keep navigation simple. we guide you through beautiful landscapes using the quietest roads and tracks. Your days are planned just for you, your pace and the distance you are happy to ride. Want to stay in one place, then You may want to opt for a series of rides from our Kirkcudbright hub. Every day you pick from a series of 10, 20, 30, 40 or more mile routes. 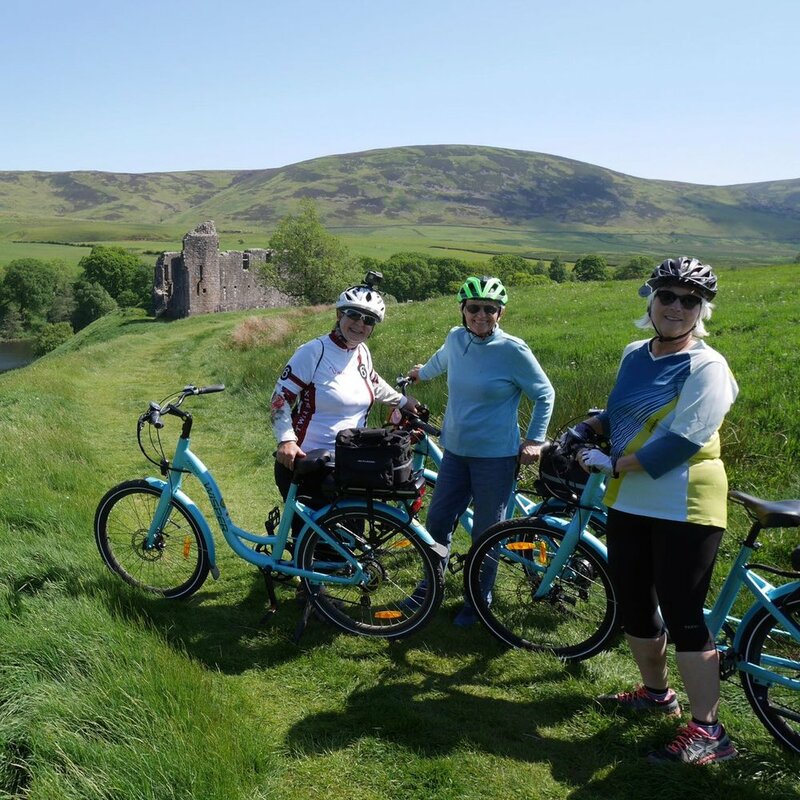 Our 2 hub castles & coast holiday is also very popular and again you pick your daily rides. 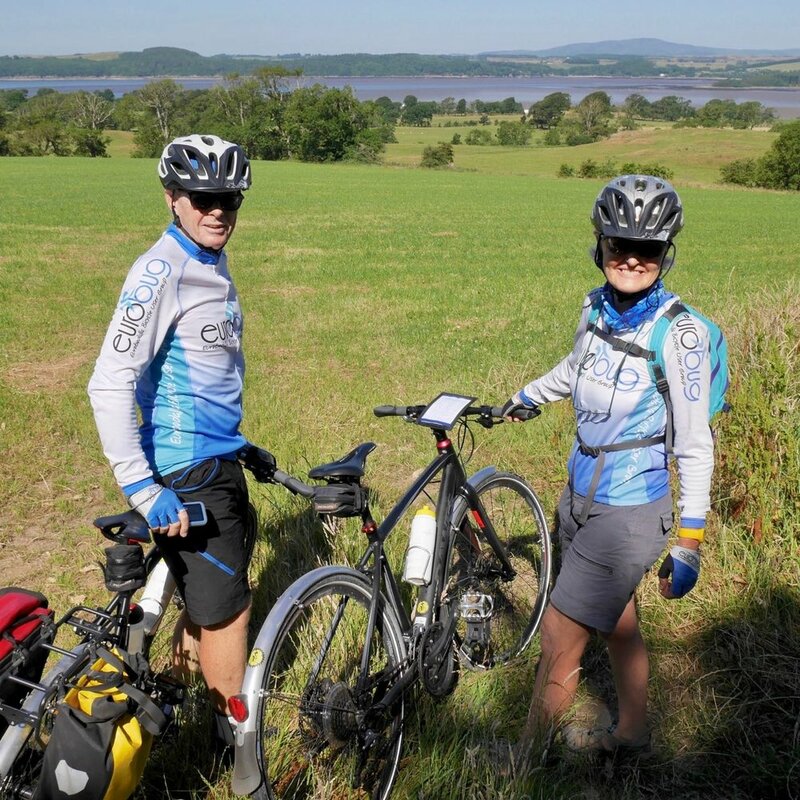 we also have touring routes, for those who want to ride from A to b and on to c. along the coast or up in the galloway highlands or a bit of both,take a look here. where possible, we offer various grades of accommodation from self-catering to the area’s finest hotels and B&B's. they are all excellent and the level is your choice. Dumfries and Galloway is in the South west of Scotland and sits on the Border with England. Hundreds of miles of quiet roads from the coast up into the galloway highlands make this the perfect place to ride a bike. We are proud supporters of the Galloway and Southern Ayrshire Biosphere, a UNESCO protected biosphere.